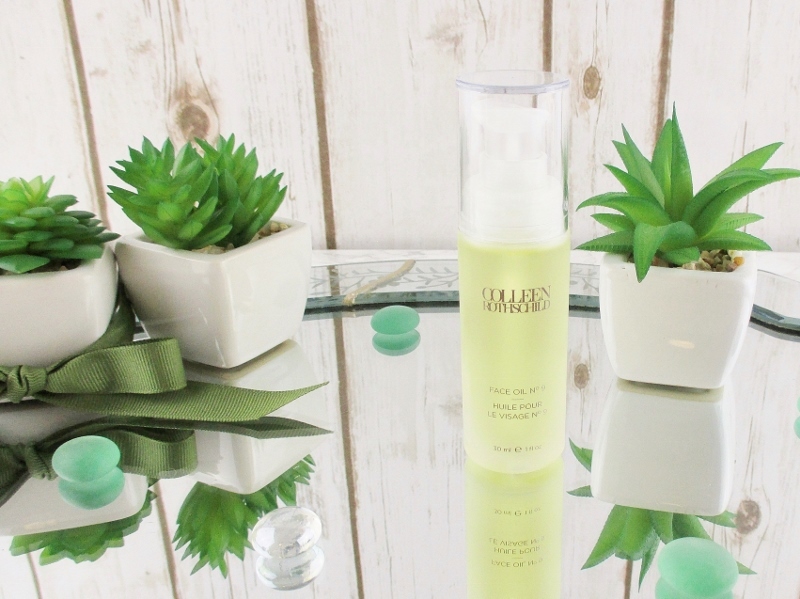 Colleen Rothschild Beauty is the brainchild of Colleen Rothschild who spent more than twenty years creating skin care products for well known brands before taking the leap and launching her own line. With her decades of experience, Colleen knows what makes solid, high performing products that can stand the test of time and what is just a passing fancy. Potent botanicals and advanced scientific ingredients in perfect balance is the secret to the success of the products in this line. For more information about Colleen and her process visit their About Page. I have been aware of this skin care line for a while, now. Like most beauty obsessed individuals, I watch YouTube videos and read a lot of blogs as well as spend more time than I probably should on Instagram and some of the people I follow are ambassadors for the line; which led to a bit of a skepticism in me. I would watch the rave reviews, see the Instagram posts and ask myself if this stuff is really all it's cracked up to be or is it all just a lot of hype? I was thrilled to get the chance to see, for myself. I am 52, I have fair skin that is as dry as the Sahara Desert and is manifesting the normal early signs of aging. My skin is clear, it doesn't break out and my overall tone is fairly even and bright. As I get older, I do notice more redness on my cheeks on and off. After decades of battling extremely oily skin and chronic, moderate to serious acne, I'll take a few lines, wrinkles and a little redness. It's a fair trade, as far as I'm concerned. I carefully perused the Colleen Rothschild Beauty site and I finally decided on four products that I felt would best suit my skin type and my overall skin care routine. 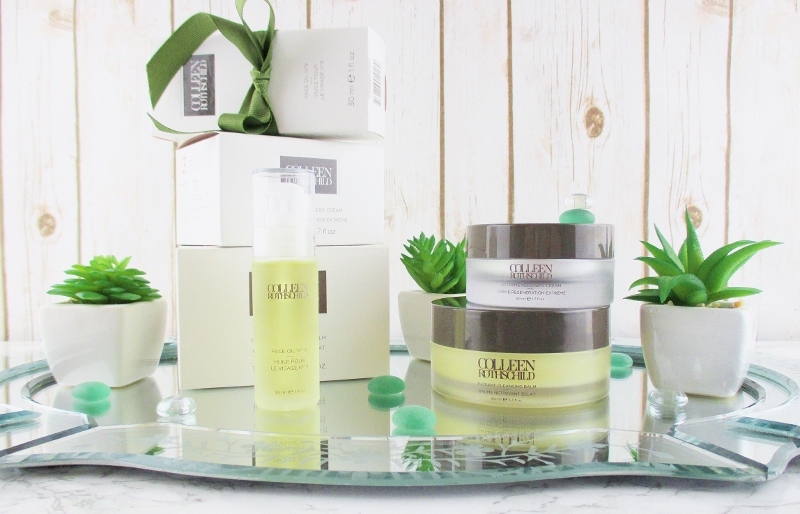 I chose Radiant Cleansing Balm, Extreme Recovery Cream, Face Oil No. 9 and the Muslin Cleansing Cloths. Click Here to shop and use code CRSkin20 to save 20% off of every regular priced item in your cart, for a limited time. This cleansing balm is lovely. It comes with a muslin cleansing cloth and you really need to try it with the muslin to get the full effect. I love cleansing with this balm. After I've removed my eye makeup and used a wipe or micellar water to remove most of my face makeup, I drag a clean nail across the surface of the firm balm, lifting a small strip or ball which I put in the palm of my hand and gently rub my hands together to soften and slightly melt the balm before I apply it to my pre dampened face. I gently spread the balm all over my face in circular motions, adding a little water at a time until I have a lovely, creamy emulsion going. I finish cleansing either with my hands or a sonic cleansing device if I want a deep down clean then I use my warm, wet muslin to wipe away the balm, turning and rinsing it as needed until every last bit of the balm is rinsed away, my skin has been gently exfoliated and is left sparkling clean, feeling refreshed, cool and silky smooth. I now understand the raves about Radiant Cleansing Balm. It really is that good. I know that it's spendy but I only use a little bit each time and my jar should last me quite some time. 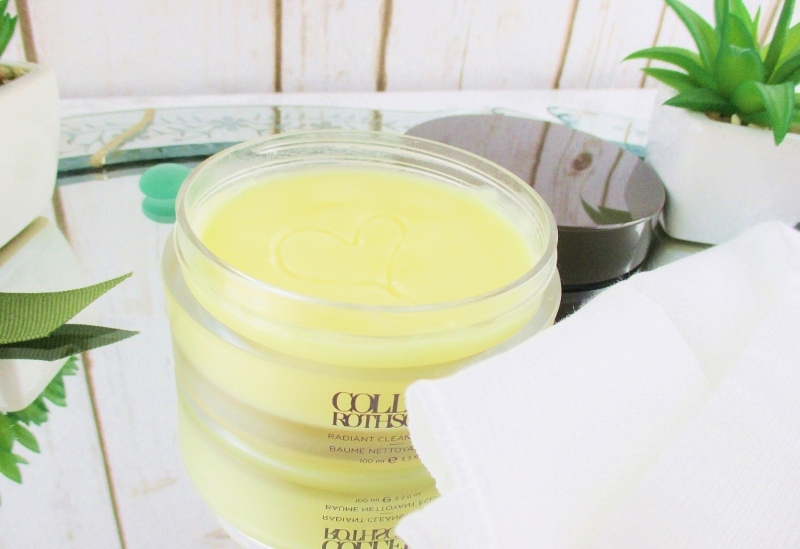 Radiant Cleansing Balm has an herbal/eucalyptus scent that I find pleasant and only lingers as long as it's in action then dissipates but if you are scent sensitive or averse, this cleansing balm may not be for you. This is the first time I've owned muslin face cleansing cloths and now that I've experienced them, I am asking myself why I didn't try them, a long time ago. Available in a pack of three, these woven muslin cloths are the perfect complexion cleansing accompaniment to Radiant Cleansing Balm or any cleanser that I choose to use. Muslin cleansing cloths gently exfoliate, sweeping away dead skin cells to leave my face feeling like silk. Care is easy-peasy and fast, too. I give them a quick wash before the first use by getting them wet, adding a pump of clear liquid hand soap or a few drops of dish soap and sudsing and rinsing well. After use, I repeat the process then hang them up to dry. These cloths dry fast so they are ready to go, when I want one. If you've never tried muslin cloths, you need to! And these are a good price, especially with the limited time special discount code. This light, golden oil blend is so silky-light and it quickly sinks in to hydrate, soften and seal crucial moisture against my skin. I like to use this over a moisturizer, it works and plays well with face cream, as well as flying solo. I dispense a pump or two (depending on how screaming for moisture my skin is, at the time) rub my hands together to get a nice, even coat on both then I gently smooth the oil over my face, patting and pressing it into my skin. This oil drops in quickly and it doesn't leave a heavy, greasy after feel. A few minutes post application, my skin feels plumped, gorgeously soft and the feeling lasts, all day or night. If you love facial oils or you are facial oil curious, this is a good one to pick up and try. I think that this oil will work for just about all skin types. If you are very oily, I'd pass, otherwise, I feel that you'll love it as much as I do. Face Oil No. 9 has a lighter version of the scent in the Radiant Cleansing Balm but the scent doesn't linger long; I can't smell it, a minute or two after application. THE FACE CREAM FOR THE AGES? "Maximum levels of moisture?" *sigh Alas, no. Hydrating is this cream? Yes, to a point. But for my very dry skin, it could be a little heavier and a good bit more moisturizing, especially for overnight use. I like to use this lightweight formula as a day cream; it gives good hydration, and it is gorgeous under makeup. When I do use this cream at night, I back it up with Face Oil No.9 and my skin is plumped, hydrated and very happy. 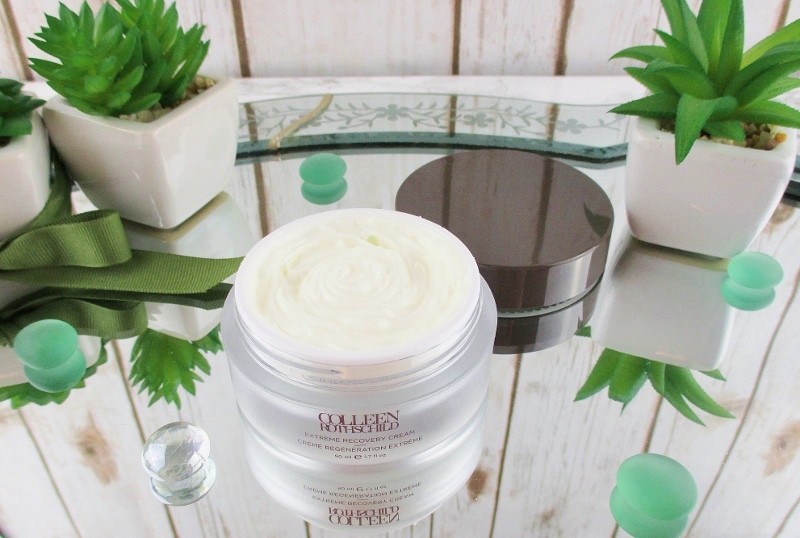 I really like the formula on this cream; the whipped, light as a cloud cream spreads swiftly across my skin and drops in, almost instantly leaving behind no oily after feel and a soft, smooth complexion. Extreme Recovery Cream doesn't have added fragrance. In my opinion, this cream is better suited to normal to dry skin types than very dry skin types. Overall, I am impressed. From packaging to product, this line is quality, all the way. It arrives carefully packed in an outer box that opens to reveal a logo seal closed tissue paper nest. Opening it up is a lovely little experience. Each product comes in a heavy white card stock box. The jars and bottles are heavyweight, frosted plastic with sleek brown lids and they look elegant on my dressing table. The quality of the products is there. I am nuts about the Radiant Cleansing Balm and the Face Oil No.9. 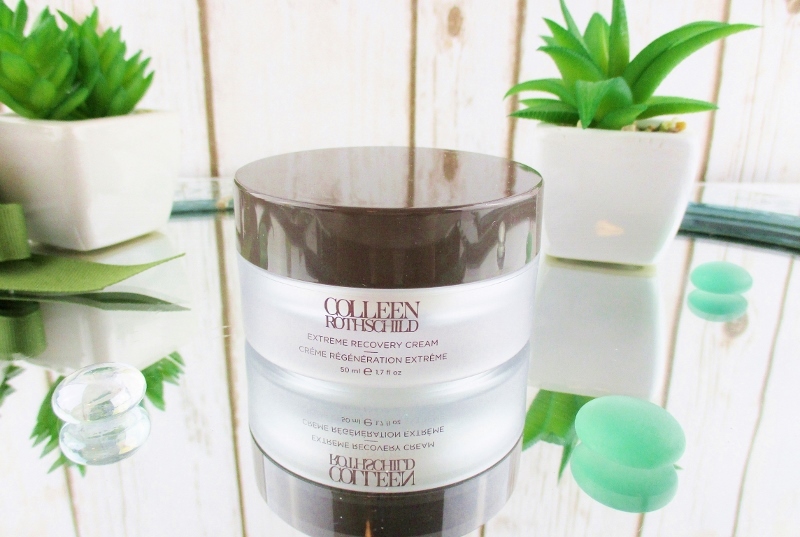 While I could wish that the Extreme Recovery Cream had a bit more of a moisture punch for round the clock use, I do like it for day, especially under makeup and if I top it with the Oil No.9, it can do the job, very nicely. Needless to say, I have not been using these products long enough to appreciate any visible results. If they keep my skin happy and in stasis, I'll be satisfied, long term. I am so happy that I have the Muslin Cleansing Cloths. Isn't it funny how sometimes it is the "extra" little thing that can tickle you the most? I'm ridiculously happy with the cleansing cloths. Colleen Rothschild skin care is formulated with Level E3, an exclusive technology that helps key ingredients work harder and smarter. Colleen Rothschild Beauty Skin Care is Cruelty Free. According to their information they do not animal test finished products or ingredients nor do they allow any third party animal testing on their behalf. For specific allergies or sensitivities, consult individual ingredients lists. All products are formulated without Parabens, Sulfates, Phthalates, Triclosan, Formaldehyde, PABA, Toluene and Benzene. 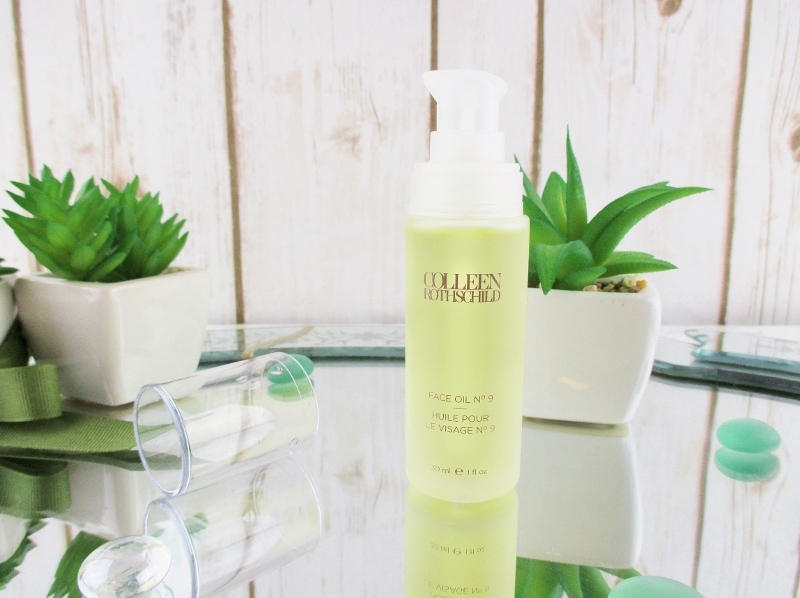 Do you use Colleen Rothschild Beauty Skin Care? What do you think of the products? What are your favorites? Looking for a second opinion? Visit Blushing Noir, Beauty 4 Free 2 U, Hey Aprill and Kassy on Design. Some nice products! I want to give this brand a try now. I think that you'd be happy. Someday after I finish up the skincare that will take me at least a year to test, I would love to try CR's brand. The products look & sound perfect. Excellent review! Thank you! I am happy that I Got to try this line, it's that good. A couple of these items will become staples. 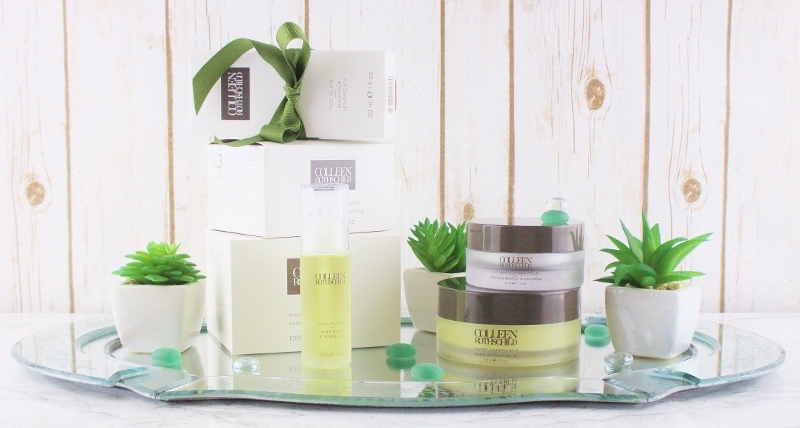 Colleen's products are amazing! And she is so sweet too!! I've loved everything I've tried from the line. Her little try it kit is perfect for a starter set. I really wanted to grab the Discovery Kit, as it contained a couple of products I really wanted to try but all of the products aren't suited to my skin type. I am so curious about this brand! I definitely need to try it! Thanks for the wonderful review, Erika! I think that you'd love the line. It is good stuff. And thank you! The cleansing balm sounds like a must have. I love that stuff! If you get it, it comes with a muslin. Treat yourself to the three pack, they are so mice to have. I've never heard of this line! 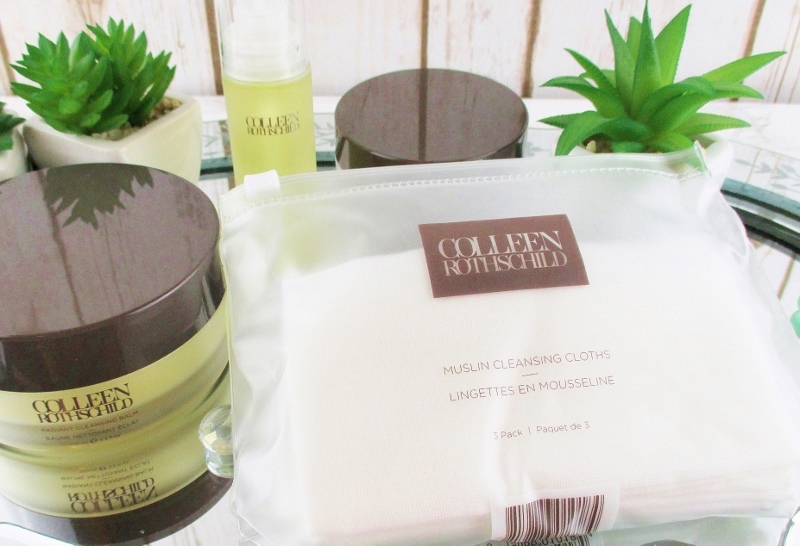 The cleansing balm and muslin clothes sound wonderful. I appreciate a healthy dose of skepticism when you read so many glowing reviews but I'm glad to hear this brand lives up to the hype. I was definitely skeptical, when these products landed on my doorstep but no more. They are quality and they do their job. The cleansing balm sounds amazing!! The whole line looks and sounds very luxe! The cleansing balm is amazing. I am in love with it. Wow - beautiful photos! I have oily skin - does she makes products for acne? Thank you! Yes, they have products for oily skin and for acne, too. You've made a convincing review for CR. I've read several reviews but yours is the most complete I've read. I of course wish there was no fragrance but if it's light enough I could still use it. Thank you! I would suggest a Discovery kit, to see if the scents are going to be okay for you. I've heard really good things about this line. 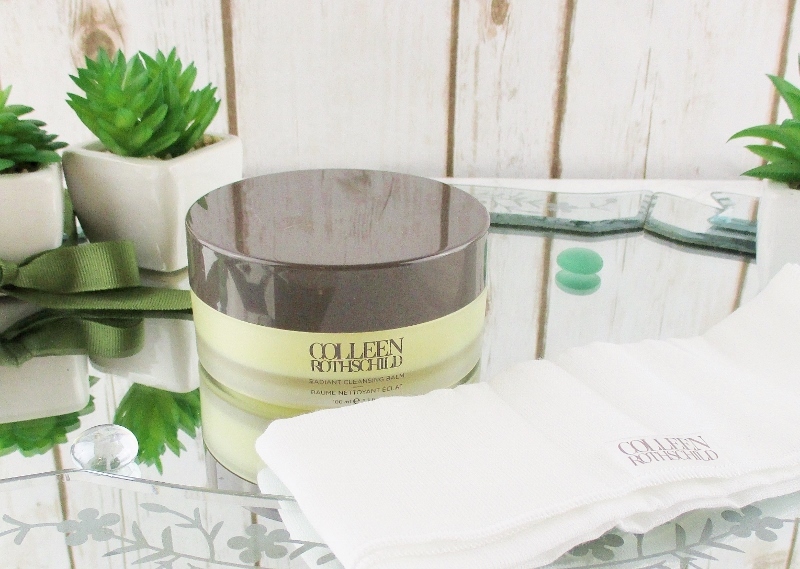 That cleansing balm sounds particularly lovely! So far, the cleansing balm is the star of the show, for me but I have to say, the Face Oil N0.9 is amazing, too. I love how this line seems to work for all skin types! I'm oily and have been enjoying the products I've picked up also! That's one thing I really like about this line. So many skin types and concerns are addressed. Everything sounds so good, but I am especially interested in the cleansing balm. Everybody wants the cleansing balm. And for good reason! I'm so obsessed with the face oil! It's wonderful It has a home with the rest of my facial oils. The cleansing balm is life! And thank you for your kind words.